Creative Reaction Lab is training Black and Latinx youth to design healthy and racially equitable communities. To create systems-wide change, we'e taking two approaches: 1) pioneering an equity-centered form of creative problem solving, and 2) creating a collaborative youth-led, community-centered movement challenging racial inequities in the education, media, health, and government sectors. ANTIONETTE | "I'm ecstatic to be named a Camelback Ventures Fellow. Joining the Camelback Ventures community isn't just about building our business or brand, but also about expanding our community to include individuals that continue to overcome systemic barriers and obstacles due to our identities. It is rare in the national startup space to connect with founders through more than professional opportunities and challenges, but also personal and cultural understanding. #wakandaforeva." Fast Company :: January 2018 :: "Are Young People The Key To Creating Equitable Communities? 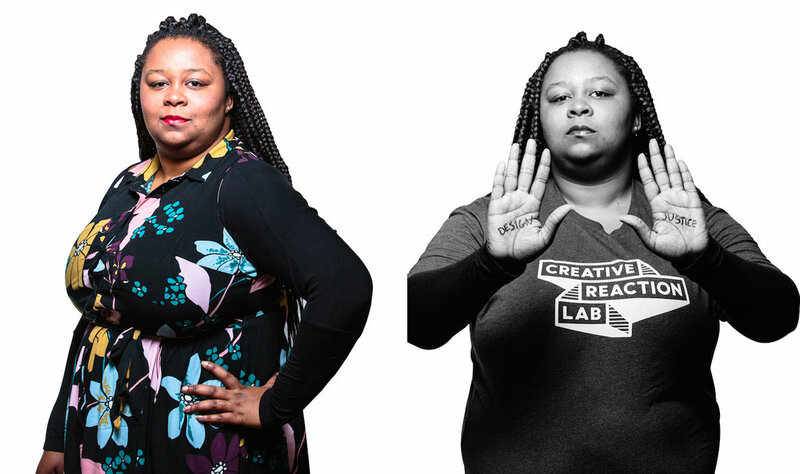 World-Changing Idea Feature on Antionette Carroll"
NPR :: April 2018 :: "2 Takes On Fighting Racial Discrimination From TED Fellows"
St. Louis Public Radio :: February 2018 :: "Non-profit Creative Reaction Lab engages black, Latino St. Louis youth to address societal issues"